We are very excited to announce our second litter of 2016: born January 9th! Champion Poolside Rascal Cats of KotyKatz strikes again with another litter of gorgeous rosetted babies! Mom, Bengalscape Estonia of KotyKatz, has thrown in the right mix of genetics to produce these outstanding little Bengal kittens. 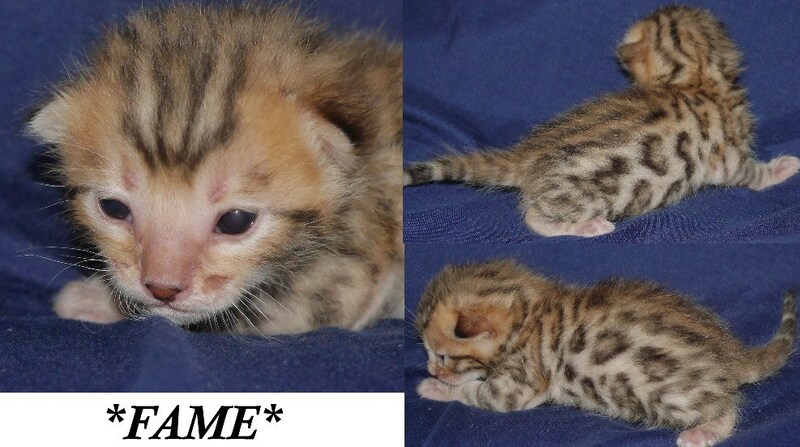 Of the brown rosetted kittens we have this little male, Fame. Look how innocent his face looks! Fame loves to play and looks forward to adventure. We love this song not only because it’s a great song, but also because John Lennon was one of the co-writers and his voice can even be heard near the end. Two musical pioneers. This was Bowie’s first number 1 hit in the U.S. Later he told the tale about how this song was an angry song written about his ordeal with his Management. 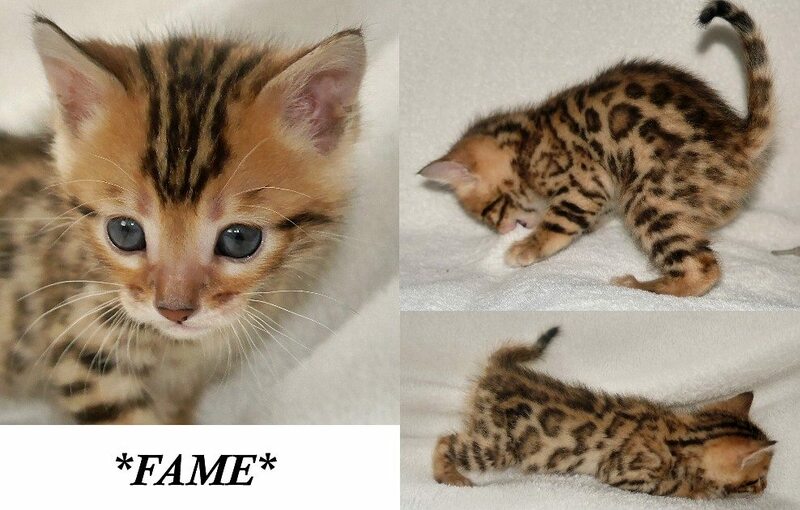 This entry was posted in Bengal Kitten Gallery, Gallery and tagged bengal kittens, brown rosetted, David Bowie, Fame. Bookmark the permalink.